Ideal first birthday gift. 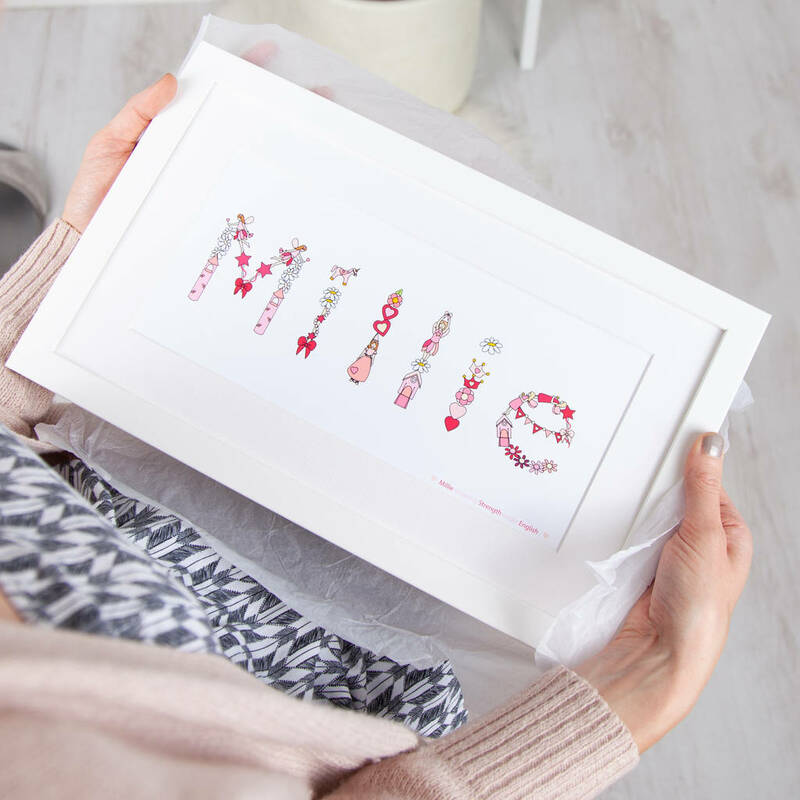 Our personalised illustrated name pictures are beautiful and unique, and are our original signature piece. A delightful christening, new baby or a special gift for any little person. 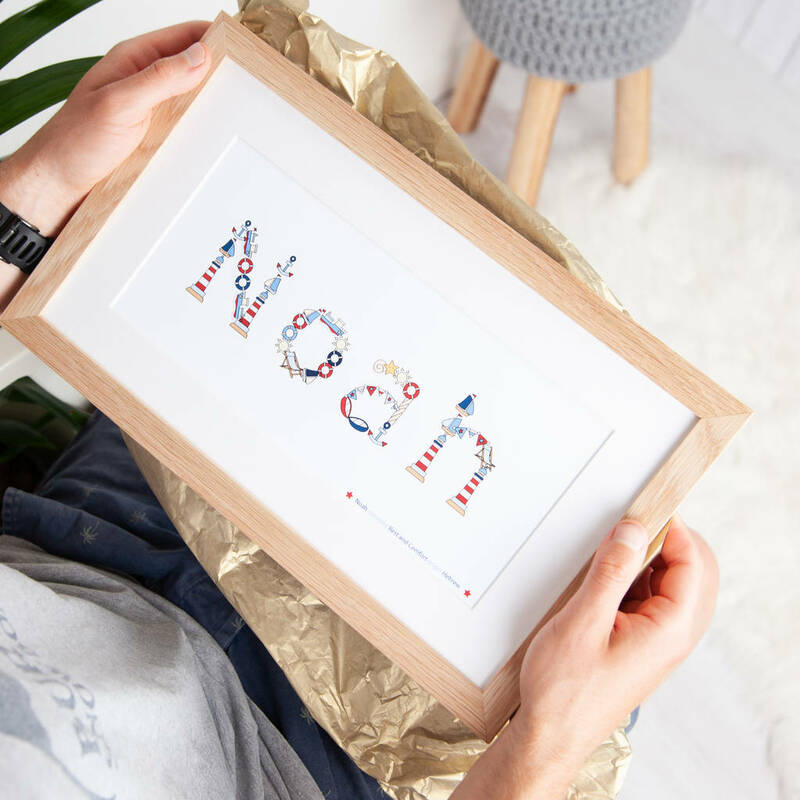 Each letter is beautifully illustrated in a choice of five different themes including: Baby Boy, Baby Girl, Nautical, Princess and Fairy and Toys and Games. Or pay additional for your own theme to suit the child or their nursery/interior. 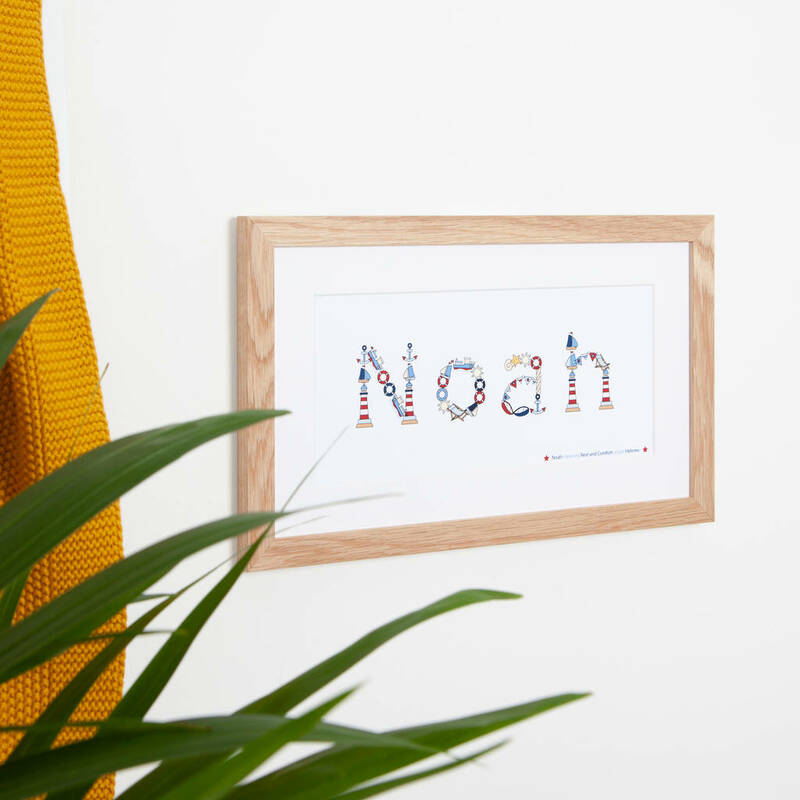 Add an extra touch with either the child's meaning of their name and origin or your own line of text. Fully copyrighted work of JG Artwork. 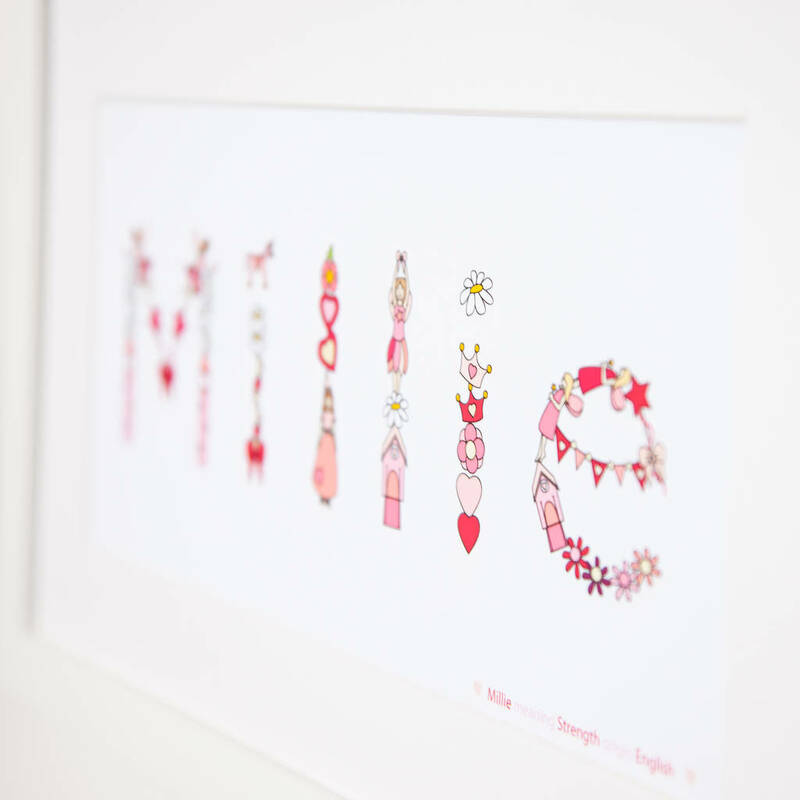 Each artwork piece also has the choice of an added subtle line of personalisation, either the meaning of the child's name and country of origin (example: Grace meaning Grace of God origin Hebrew), or your own line of personalisation (example: Sophia Jessica Smith born 25th June 2010). The personalised artwork can be purchased as an A4 unfamed print or A3 unframed print or finished within a choice of frames. Frames include a wood finish, white finish or black finish. A4 and A3 print on high quality glossy 180gsm paper. 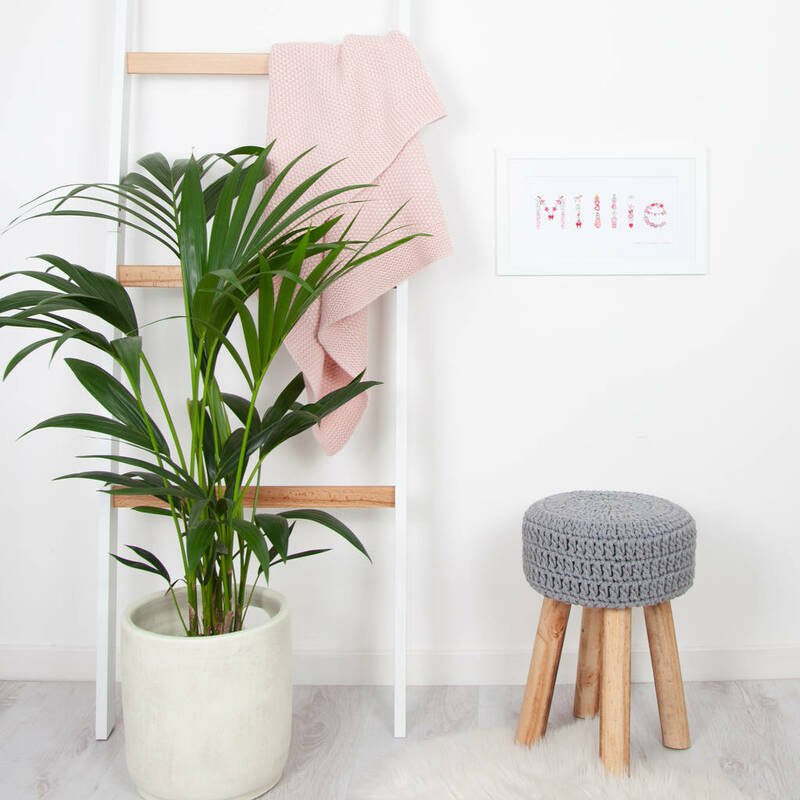 Frames are wooden, with a choice of solid oak, white or black. Dimensions: A4 unframed print: 29.7cm x 21 cm (landscape) A3 unframed print: 42 cm x 29.7 cm (landscape) Frame: 38cm x 23cm. The framed pieces are mounted, the exact artwork area is 27.6cm x 12.4cm (landscape). This product is dispatched to you by Jodie Gaul. Delivery is via a tracked courier requiring a signature on delivery.